Don't forget to check out these sites ladies !! 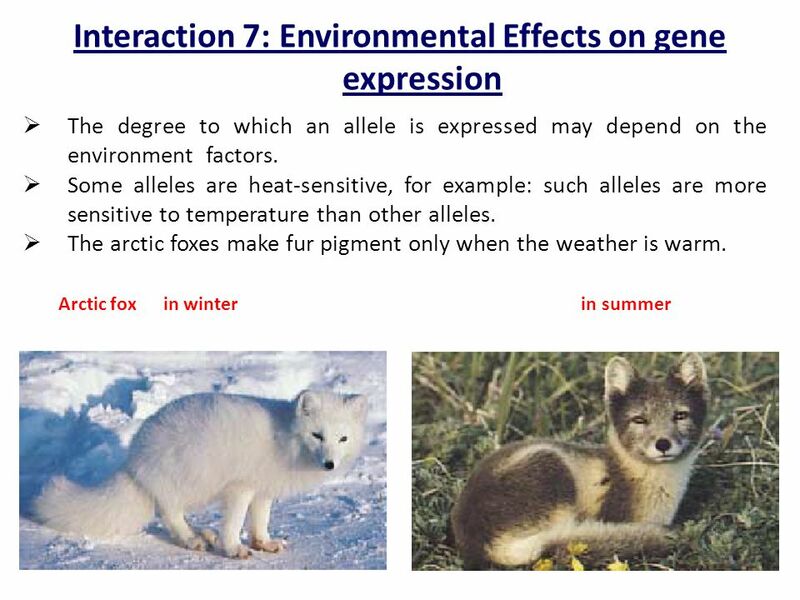 Gene expression is vitally important for living things, complex living organisms just would not exist without it. The central dogma is the idea that DNA instructions code for amino acids that make proteins and proteins build living organisms. Click here to check out this fabulous website ...and watch away it is well worth a look !!! Also great to check out is this....click here ﻿to recap some other basics. Nucleic acids are essential to all know forms of life - they are known as "information molecules" as they contain the inherited codes for making proteins and controlling cellular activities. The primary Nucleic acid is DNA Deoxyribose Nucleic Acid and other is RNA - Ribose Nucleic Acid. Deoxyribose is a five carbon sugar - Chemists number the carbons 1-5. The Phosphate groups bond to the C3 from one sugar and to C5 of the next sugar. This results in 2 strands that are Anti -parallel. 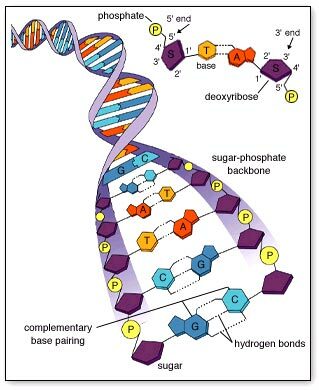 This of course influences DNA Replication as DNA Polymerase can only bond nucleotides down the 3' end - of the Leading stand - hence we say the synthesis is in the 3-5 direction. Create a table or summary page - comparing similarities and differences in the both the chemical and structural parts of DNA and RNA. What do your fingernails, your hair and the scrambled eggs you had for breakfast have in common? The answer: They all contain a lot of protein. Protein is found in all animal products, and it is essential to your life because it's part of every cell in your body. There are many different types of proteins in our bodies. They all serve important roles in our growth, development and everyday functioning. 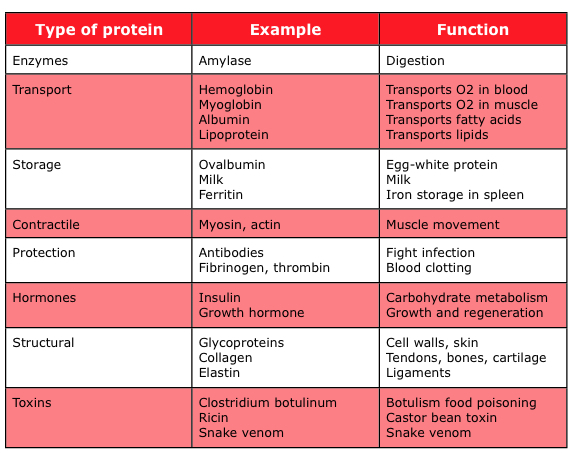 Here are some great examples: These specific examples are well worth using in your discussions when referring to Proteins. Enzymes are proteins that facilitate biochemical reactions, for example, pepsin is a digestive enzyme in your stomach that helps to break down proteins in food. Antibodies are proteins produced by the immune system to help remove foreign substances and fight infections. DNA-associated proteins regulate chromosome structure during cell division and/or play a role in regulating gene expression, for example, histones and cohesin proteins. Contractile proteins are involved in muscle contraction and movement, for example,actin and myosin. Structural proteins provide support in our bodies, for example, the proteins in our connective tissues, such as collagen and elastin. Hormone proteins co-ordinate bodily functions, for example, insulin controls our blood sugar concentration by regulating the uptake of glucose into cells. Transport proteins move molecules around our bodies, for example, haemoglobin transports oxygen through the blood. Click here for THEORY notes on Proteins and their structure..
AMINO ACIDS..... want to know more....check this out ! 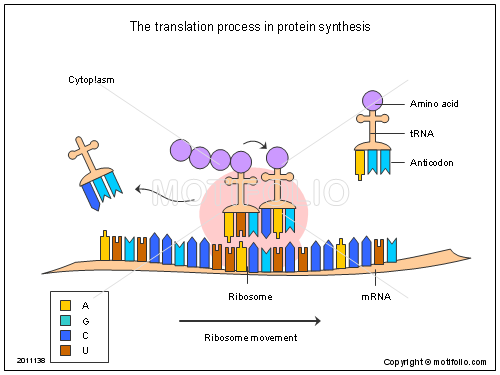 Transfer RNAs or tRNAs are molecules that act as temporary carriers of amino acids, bringing the appropriate amino acids to the ribosome based on the messenger RNA (mRNA) nucleotide sequence. In this way, they act as the intermediaries between nucleotide and amino acid sequences. Khan Academy and Protein Synthesis!!! 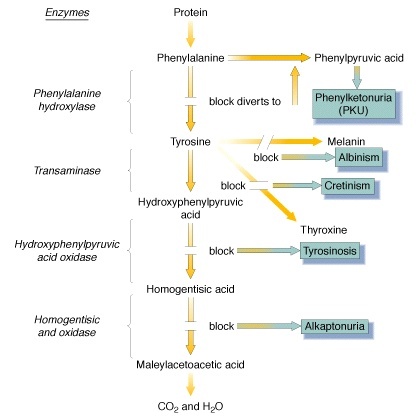 AMINO ACIDS - want to know more,,,? .....The redundancy due to degeneracy within the code. 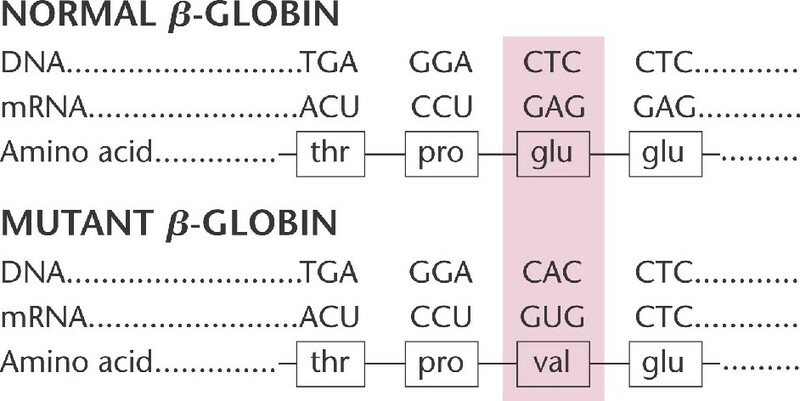 For example, codons GAA and GAG both specify glutamic acid (GLU). [Any example can be given.] This means that there are more codons than amino acids so in any given translation, some codons will be redundant. This means that there are more codons than amino acids in any given translation. 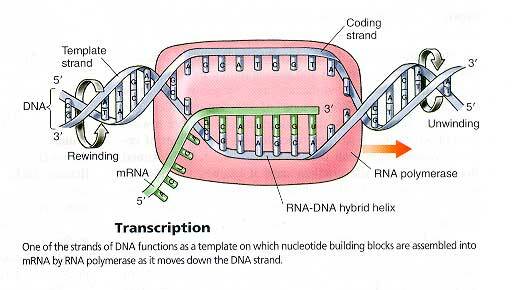 Are defined as a permanent change in the base sequence of the DNA molecule. Sickle cell disease is a disorder that affects the red blood cells, which use a protein called hemoglobin to transport oxygen from the lungs to the rest of the body. Normally, red blood cells are round and flexible so they can travel freely through the narrow blood vessels. The hemoglobin molecule has two parts: an alpha and a beta. Patients with sickle cell disease have a mutation in the HBB gene on chromosome 11 that codes for a faulty beta polypeptide chain of the haemoglobin protein. As a result, hemoglobin molecules don't form properly, causing red blood cells to be rigid and have a concave shape (like a sickle used to cut wheat). These irregularly shaped cells get stuck in the blood vessels, are prone to rupture, and are unable to transport oxygen effectively,. This has a flow- on effect to the Phenotype of the affected individual, skin, lung and bone disorders and brain, hearth kidney damage. Cystic fibrosis is an inherited disease characterized by the build-up of thick, sticky mucus that can damage many of the body's organs. Cystic fibrosis is a genetic disorder that affects the respiratory and digestive systems. People with cystic fibrosis inherit a defective gene on chromosome 7 called CFTR. The protein produced by this gene normally helps salt (sodium chloride) move in and out of cells. If the protein doesn't work correctly, that movement is blocked and an abnormally thick sticky mucus is produced on the outside of the cell. The cells most seriously affected by this are the lung cells. This mucus clogs the airways in the lungs, and increases the risk of infection by bacteria. The thick mucus also blocks ducts in the pancreas, so digestive enzymes can't get into the intestines. Without these enzymes, the intestines cannot properly digest food. People who have the disorder often do not get the nutrition they need to grow normally. Finally, cystic fibrosis affects the sweat glands. Too much salt is lost through sweat, which can disrupt the delicate balance of minerals in the body. Metabolic Pathways and the determination of a Phenotype !! click here for more info on this..
Metabolism refers to all the biochemical processes that take place within cells. Metabolism provides energy for the cell and provides the substances the cells needs for its structure and products. Because there are a series of biochemical reactions, each one usually controlled by an enzyme, there are multiple places where the end result can be affected. Each specific enzyme is the result of an expressed Gene ...so we say genes and therefore enzymes control all metabolic pathways. As with most metabolic pathways in our body, the first compound in a pathway is converted to the next compound by the action of an enzyme. For example, in the simple pathway A ® B ® C, the conversion of compound A to B occurs because of the action of enzyme 1, and the conversion of B to C occurs because of the action of enzyme 2. A mutation can occur which stops the function of enzyme 1, then the end product can not be made even if enzyme 2 is fully functional. In another individual, a mutation can occur which stops the function of enzyme 2, then the end product can not be made even if enzyme 1 is fully functional. There are a number of possible combinations to the way in which a condition can be inherited because the metabolic pathway has at least two points where different genes are controlling the outcome. Normal children can be born, because if the points which are affected in the parents are different, then each one of those can be dominated by an allele inherited from the other, resulting in normal production of the enzyme. 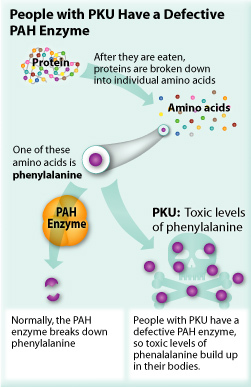 Phenylketonuria is a rare metabolic disorder that affects the way the body breaks down protein. If not treated shortly after birth, PKU can be destructive to the nervous system, causing mental retardation. PKU is caused by a mutation in a gene on chromosome 12. The gene codes for a protein called PAH (phenylalanine hydroxylase), an enzyme in the liver. This enzyme breaks down the amino acid phenylalanine into other products the body needs. When this gene is mutated, the shape of the PAH enzyme changes and it is unable to properly break down phenylalanine. Phenylalanine builds up in the blood and poisons nerve cells (neurons) in the brain. 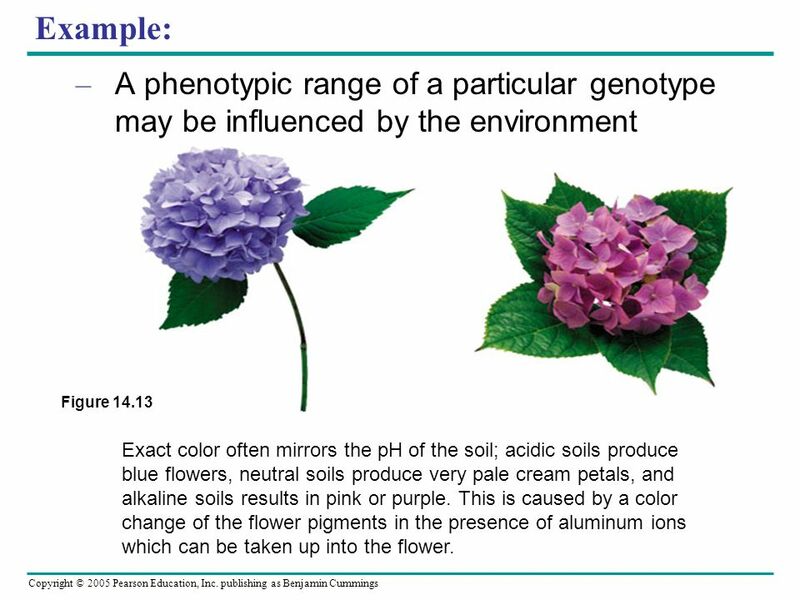 The phenotype of an organism results from the interaction between the genotype and the environment. It is the composite of the characteristics shown by the cell or organism under a particular set of environmental conditions. The expression of the genotype can be affected by the environmental conditions that exist internally or externally for an organism without the genotype itself being altered in any way. Environmental factors vary widely, but can include temperature, wind, salinity, available nutrients etc. (Any reasonable / appropriate environmental factors can be accepted). The genotype provides the instruction set for a particular structure or function, but this may not be able to be fully expressed if the environmental conditions work against it. Eg, plant height is controlled by both genotype and environment. 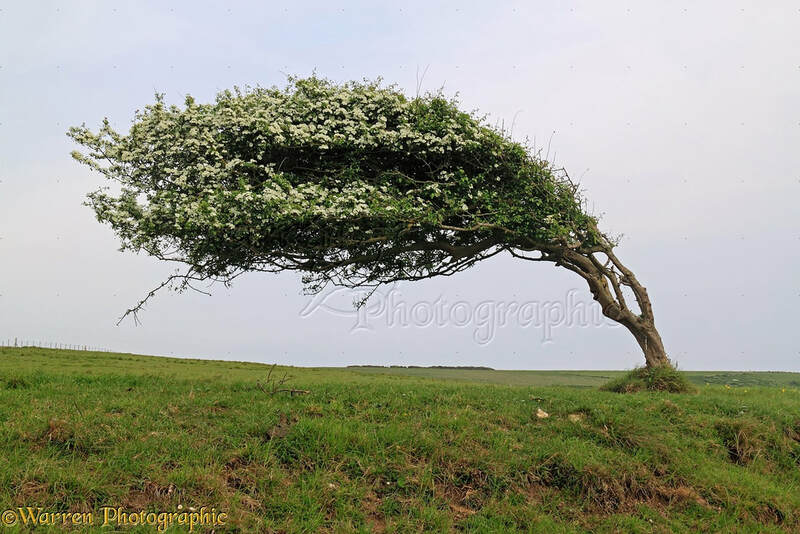 If a cutting is taken from a plant that is prostrate (grows close to the ground) due to the environmental factor of the wind, when it is grown in a sheltered garden the genotype is expressed fully and the result is a tall plant. The genotype of the plant has not changed at all, so this is not the case of a tall plant genotype vs. a prostrate genotype.